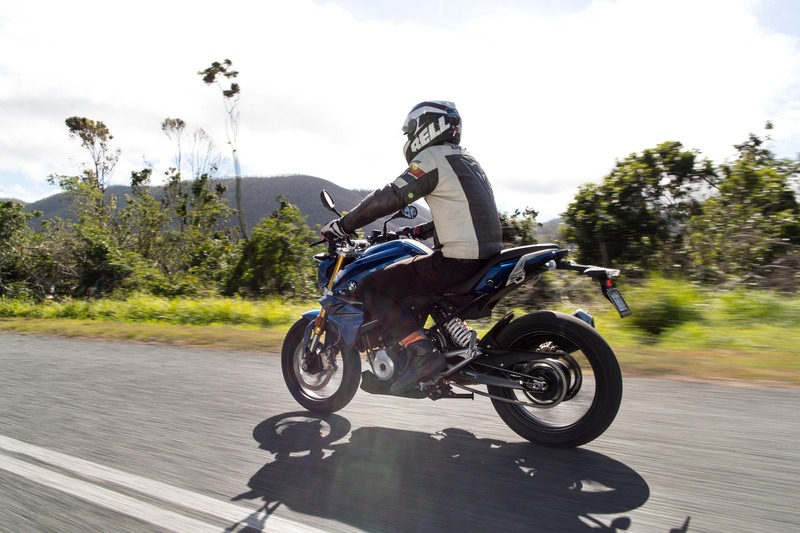 BMW tunes into the Australian featherweight division with its new 313cc sportster; the G 310 R.
When the crew at BMW aim their sights on a new market, they rarely miss. Take for instance the GS series and its place in the adventure market, the R Nine T models in the retro segment, or even the S1000 range in the supersports category. These bikes became big players, right from the start. The Bavarians see an emerging market, and then tackle it by releasing ‘premium’ highly-engineered models to suit, giving riders from each fold an upper-market option. This strategy has worked well for BMW, but it’s not so easy when it comes to the beginner market. Why? Because beginners demand cheaper pricing. Perhaps this is why it’s been so long since BMW built a sub-500cc motorcycle, and in turn why the German manufacturer has largely been missing from the learner-focused small-capacity market. 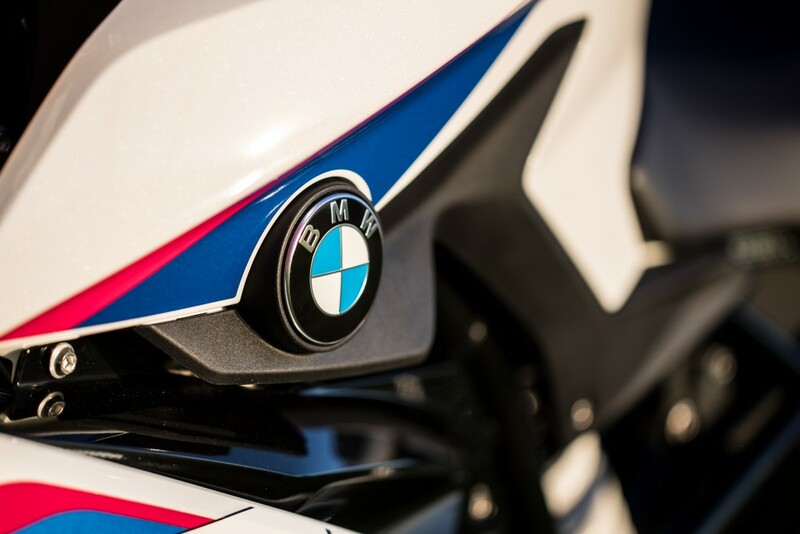 Well at long last, BMW has made its move with the new G 310 R, bringing the acclaimed propeller-shaped badge to the Japanese-dominated and highly competitive 300 category. Small bike buyers can now have a slice of Bimmer engineering, for an affordable starting price of $5790 plus on roads. Not bad. Upon seeing the G 310 R for the first time, I was pleasantly surprised by the way it sits. Lower-capacity bikes tend to look small and toyish, with skinny tyres and gaping holes in the engine bay. 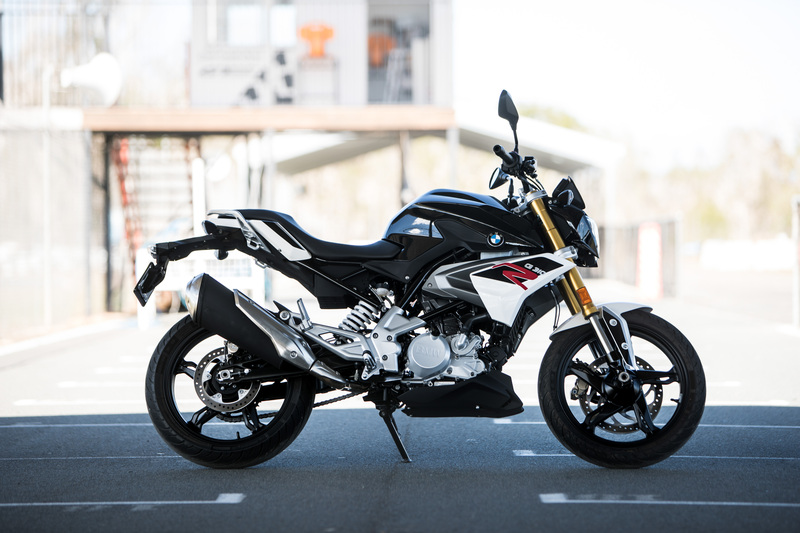 BMW intentionally made the G 310 R resemble its bigger siblings, to look ‘grown-up’ as they say. 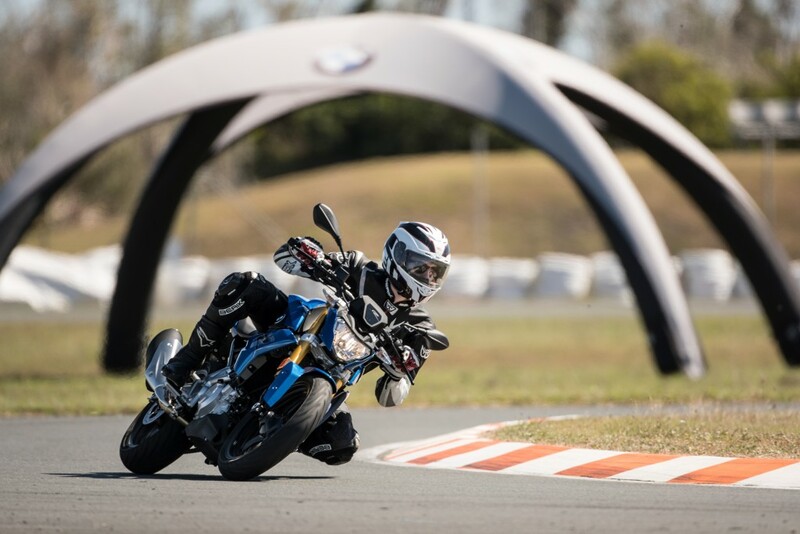 BMW hopes this will help attract older – more experienced riders – who don’t need oodles of power, but appreciate the look-and-feel of a bigger motorcycle. The bike houses a 313cc single-cylinder engine, which is in a 180-degrees configuration; meaning that the cylinder is rear-slanted, providing the ‘logical flow’ of intake at the front, and exhaust at the rear. The engine is good for 25kW of power and 28Nm of torque, which comfortably pushes along the 158kg (wet) package. The suspension and brakes reflect the purchase price, with a basic set of 41mm Kayaba upside-down forks which are non-adjustable, and a preload-adjustable shock at the rear. 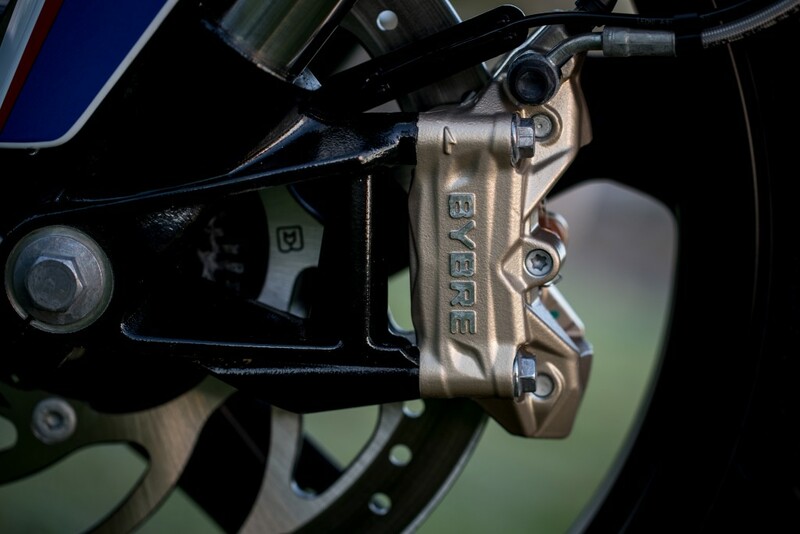 India-based Brembo subsidiary Bybre handle the brakes, employing a modest four-piston caliper on a single 300mm disc at the front and a single-piston caliper on a 240mm disc at the rear. Braided brake lines help with lever feel, and the bike runs a two-channel ABS system. Essential information is displayed on a small LCD dash, with a gear position indicator, clock, fuel gauge and a handy range-to-empty reading. The standard seat height sits at 785mm, but taller and shorter seats are available as factory options; which should accommodate a wider range of buyers. 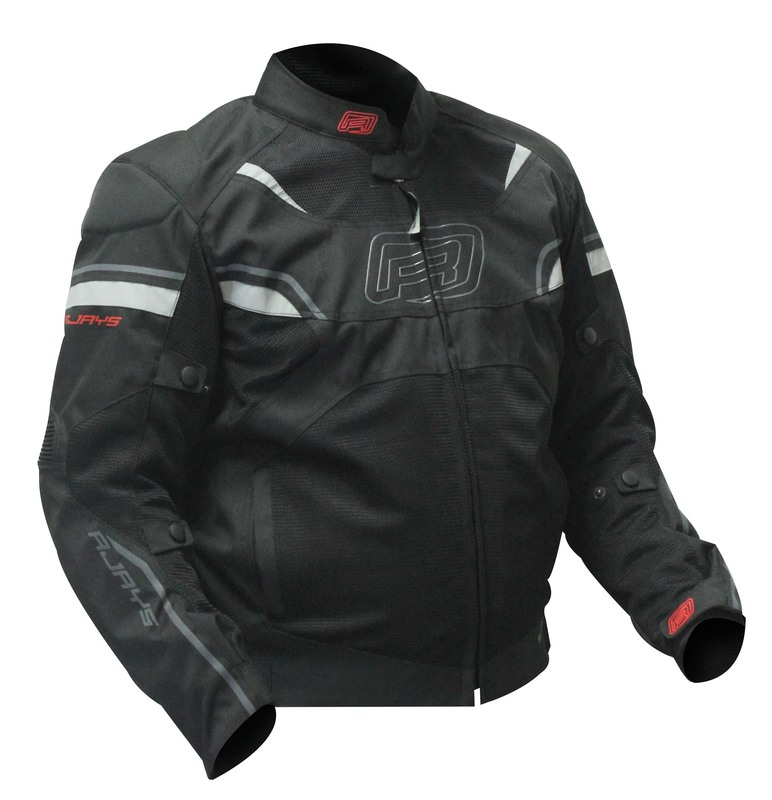 Other options include heated grips, luggage racks, power sockets and a centrestand. As usual, we expect BMW to release more options over time. Aiding its position as a global model, the G 310 R will survive on lower-octane fuel with its 10.6:1 compression ratio. BMW claims an impressive 3.3l/100km, meaning the 11-litre tank can potentially allow travel of more than 300 kilometres between fuel stops. 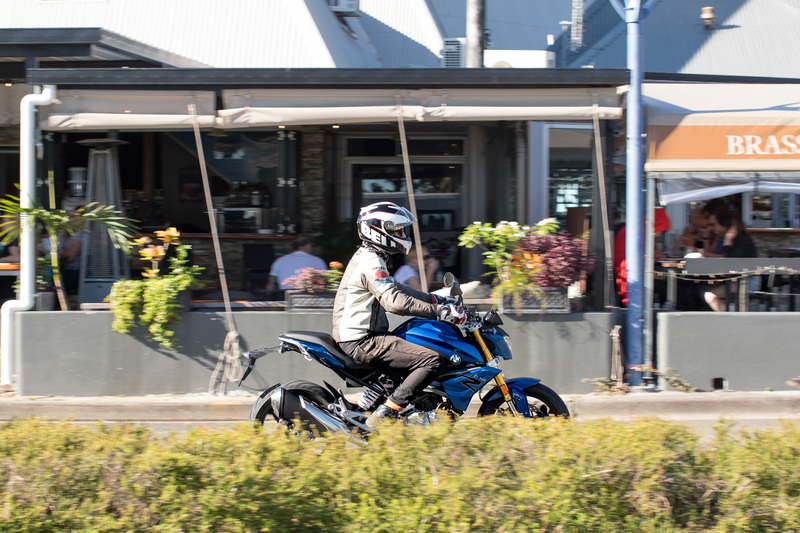 This bike will likely play as a direct competitor to the likes of the Yamaha MT-3, the Kawasaki Z300 and the Honda CB300F; which often act as stepping stones to bigger bikes here in Oz. But in places like India and Brazil, where power isn’t as vital a commodity, BMW expects the bike to sell as a do-it-all standard for both new and experienced riders. In order to achieve the low price point, BMW is building the G 310 R in India with its manufacturing partner TVS. 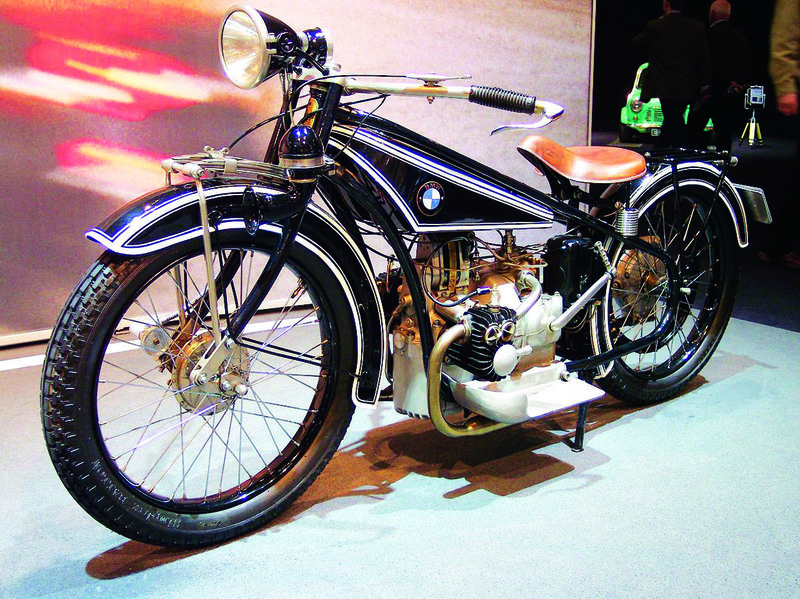 As quality control is vital to BMW’s reputation, the bike was delayed by six months as certain components weren’t up to scratch. This begs the million-dollar question: does the baby Bimmer live up to its badge? We went to the recent launch in Queensland to find out. The Australian press launch was held in Airlie Beach, the lively tourist town in the glorious Whitsundays. Home to postcard-beautiful beaches, mountainous landscapes, and seemingly-endless winding roads perfect to trial the G 310 R’s capabilities. You sit upright on the bike, arms wide apart on flat bars, and with a slight forward-recline that places you in an attacking stance. It’s comfortable – but not too comfortable – this is a sportsbike after all. The exhaust is quiet at idle but livens up towards the redline. It sounds kind of strange: like listening to an over-muffled dirtbike through a phone speaker. It is what it is. For a 313cc single, you get a surprising amount of low-end grunt, which is great for weaving around in stop-start traffic. This bike would be near-ideal in the city. The steering is a little lazy on turn-in, which is likely due to the ‘adult-sized’ tyres (110/70 front, 150/60 rear), but when pushed, the bike is agile and easy to control. 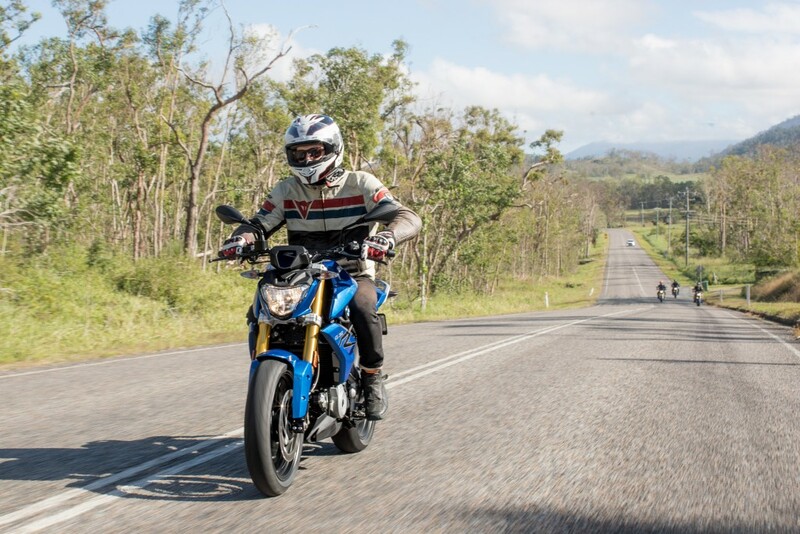 In an attempt to emulate the on-road behaviour of BMWs touring bikes, the G 310 R has a forward weight bias which gives a confident and sharp steering feel. The bike is more than happy to sit at 110km/h, and with your head under the paint, you shouldn’t have a problem exceeding 150km/h. The gearbox is a little clunky, and you may find the odd false neutral. This is pretty standard for a bike in this category, but the Roundel badge would lead me to expect a slightly more refined shifting experience. But above all else, I was impressed by this bike’s versatility on the road. 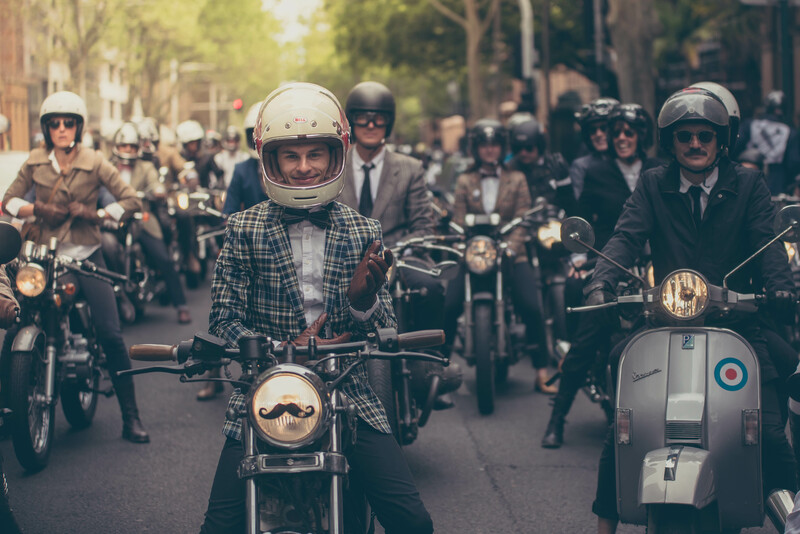 It’s both confidence inspiring and fun; two very desirable traits for a new rider. From the road, we then headed to the Whitsundays Moto Sports Club for an unexpected but welcomed day at the track. The tight 1.1km circuit served as the perfect proving ground for the LAMS sportster. While the G 310 R is by no means marketed as a track bike, it did well to further illustrate the bike’s diverse capabilities. The ergonomics translated adequately to the track; the seat allowed me to transition easily from corner to corner and the footpegs sat just high enough for some knee-down action. With only a small amount of power to play with, the standard Michelin Pilot Street Radial tyres provided plenty of grip and the suspension remained predictable and forgiving. As I suspected, the brakes were underwhelming and so most of my braking was done via the gearbox. 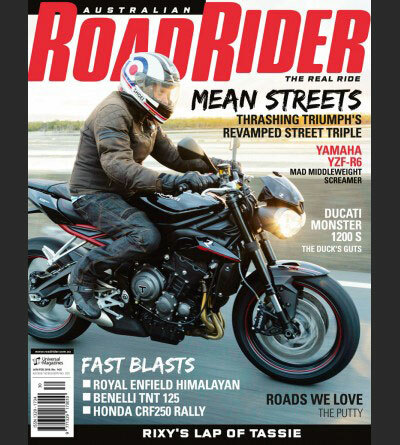 As we (the Aussie motorcycle press) quickly realised, the G 310 R is a young hooligan’s dream. 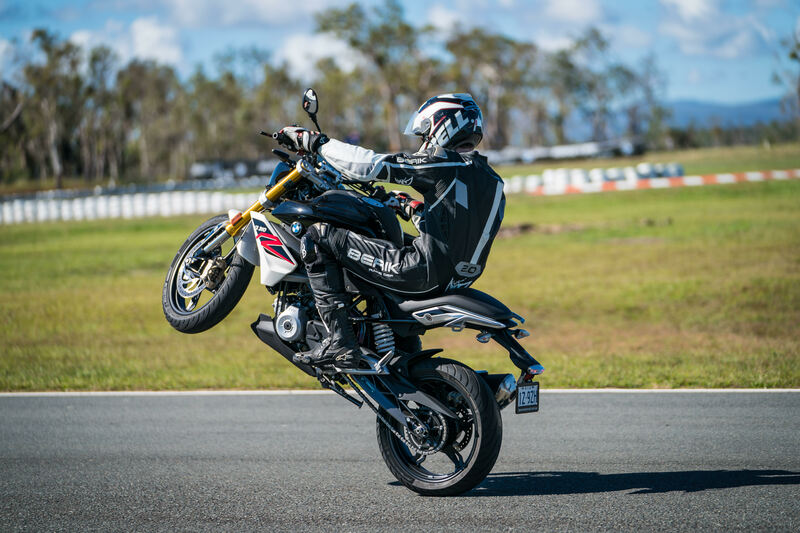 Clutch-up wheelies are a breeze, and if you can finesse your way around the ABS, you can get the rear wheel in the air as well. BMW knew this, and installed labyrinth-style baffles in the fuel tank and oil sump to prevent starvation. Whether the squares like it or not, youngies love wheelies. So it’s nice to know they can get up-on-one without detonating their brand new Bimmer. More power to them. 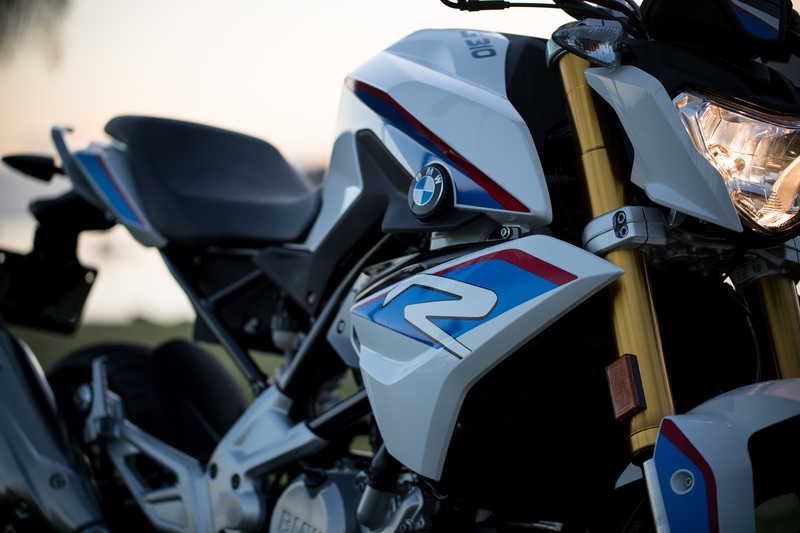 The BMW G 310 R is, on paper, a fairly basic motorcycle. You’re only given what you need, but you only need what you’re given. What you do get is well-made and refined, and capable of just about anything a new rider can throw at it. Whether it appeals to experienced riders is yet to be seen, but either way, the G 310 R has earned its badge. 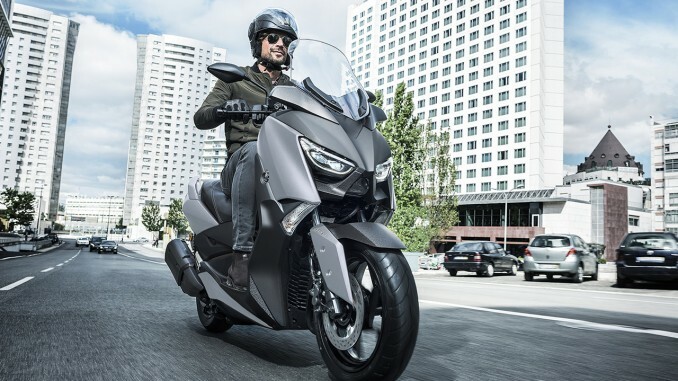 The bike will retail for $5790 before on-road costs in Australia, which should equate to a ride-away price of under $7000. That’s around the same dollar as its Japanese rivals, and substantially cheaper than the KTM Duke 390. If this thing ain’t a hit, I’ll go he for tiggy.